Jen Campbell is a poet, short story writer, and bookseller. She graduated from Edinburgh University with a Masters in English Literature. 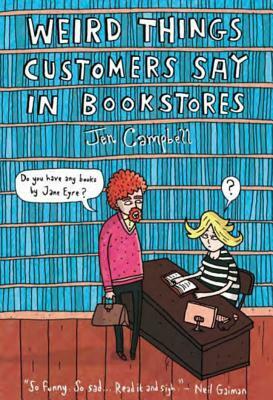 "Weird Things Customers Say in Bookstores" was a "London Times" bestseller in its UK edition, with rights sold in Germany, Finland, and Sweden. She currently works at an independent bookstore in North London. Visit jen-campbell.blogspot.com for more. Greg McLeod, one half of The Brothers McLeod, is an award winning illustrator, animator and director. Greg has a distinctive hand drawn style and has worked on a wide range of projects including animation, illustration, exhibitions and book covers. Visit bromc.co.uk for more.